The SpaceX CEO made the unexpected claims during a question and answer session at the South by Southwest technology and culture festival in Austin, Texas, yesterday. However, the 46-year-old was eager to level expectations by stating his timings have not always been completely accurate. "People have told me that my timelines historically have been 'optimistic’. "I'm trying to 'recalibrate' to some degree here." Mr Musk explained he feels once SpaceX completes it ambitious cargo mission to Mars by 2022, it will kickstart a stream of development from other companies. He said: “I think once we build it we'll have a point of proof, something that other companies and countries can go and do. In addition to detailing his lofty ambitions, the SpaceX CEO warned those who are eager to make the journey to the Red Planet there is a “good chance” they could die. The billionaire also detailed how society would function on a Mars colony. He commented that people would “vote directly on issues instead of going through representative government”. He added it should be "easier to get rid of a rule than to put one in” as he detailed what life could be like on another planet. On more trivial notes, when questioned on who he was inspired by, Mr Musk said that Kanye West was someone he looked up to. 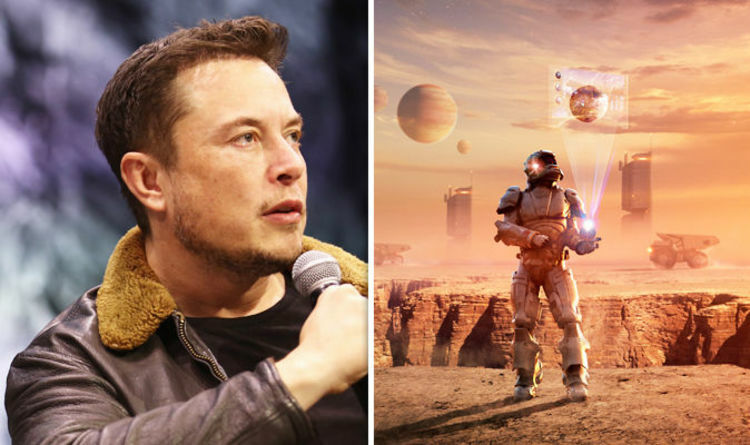 The billionaire also stated that Mars will “need everything from iron foundries to pizza joints”.